Devi (Chennai, India) on 25 December 2013 in Plant & Nature and Portfolio. A Merry Christmas to all of you here. Thank you for this traditional Christmas red ! Enjoy your day, too. 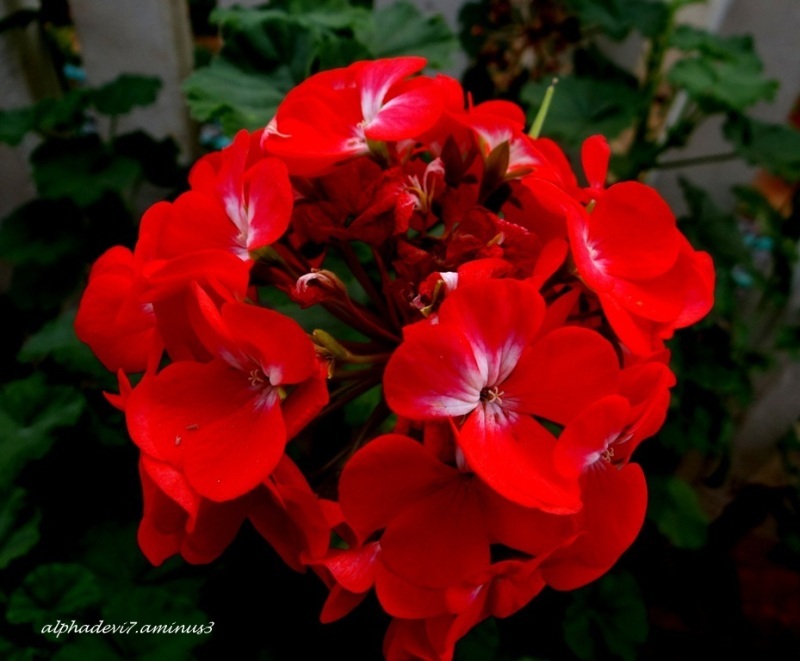 A beautiful geranium flower, we have these bloom only during the summer season! Toivon you also a very Happy Christmas day, my dear friend Devi! Beautiful photo of this beautiful flower! Merry Christmas. Beautiful capture of the flower. @Aubélia: Thank you Aubelia :)Hope your Christmas was great! Merry Christmas ! Beautiful flowers ! A beautiful flower shot for Christmas. Merry Christmas. Happy Xmas dear Devi to you and your loved ones. Wow. Excellent, Devi. A beautiful flower shot for Christmas. Lovely colours and a fine exposure. A lovely macro Devi! Merry Christmas to you and your family. Thank you very much, Devi! Merry Christmas! Rouge et vert comme j'aime pour les couleurs de Noël ! A beautiful circle of red!